Tristan Manco is a designer and art director, bringing his unrivalled wealth of creative experience and knowledge to each strand of his work. Design clients past and present include Cheltenham Festivals, Pictures on Walls (POW), Real World, Womad, Universal, EMI Records, Habitat, Rich Mix, Soil Association, Modern Art Oxford and the Arnolfini Gallery. High profile projects include the iconic Blur Think Tank album. Tristan’s design agency, Think Beautiful, brings together a team of highly experienced creatives providing the full spectrum of lead and support on design projects for corporates and small businesses. For more information please visit the Think Beautiful website. Tristan’s creative background includes his work as a highly respected arts author, demonstrating his extensive knowledge of the creative field. His first book Stencil Graffiti was published by Thames and Hudson in 2002 to worldwide acclaim. This was followed by Street Logos (2004), Graffiti Brasil (2005) Street Sketchbook (2007), Street Sketchbook: Journeys (2010), Raw + Material = Art (2012) and Big Art / Small Art (2014). His most recent book Make Your Mark – The New Urban Artists was published in 2016. As a writer he also contributes to arts and design publications such as Juxtapoz, Varoom, Huck Magazine and Creative Review. Tristan has lectured for over ten years on the arts for institutions such as Tate Modern, the ICA and the Arnolfini, and to upcoming creatives on design and illustration at universities and colleges including the RCA. 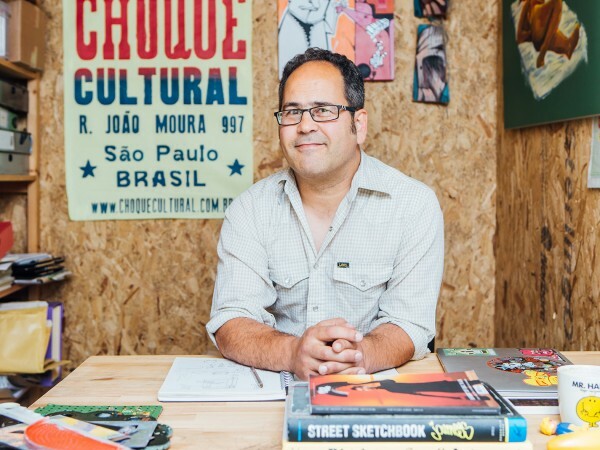 He currently teaches illustration for the BA (Hons) course at Plymouth College of Art and as visiting lecturer in Illustration at USW in Cardiff. Curation and art direction projects include clients such as Wahaca, bringing internationally renowned artists from all over the world to create murals for their in-house creative arts program. Other curation projects include The Cans Festival (2008) and Dismaland (2015).